When you are looking for a storage facility to house your RV or boat, covered storage is an excellent option. For so many reasons, opting for a covered storage facility will prove to be a beneficial decision. And today, you will discover three of the biggest benefits of covered storage for your RV or boat. 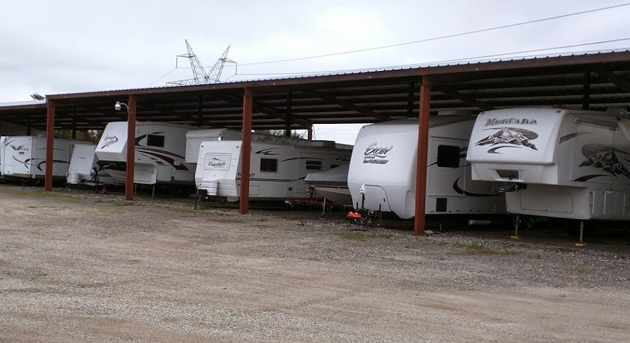 Added Security: While any professional storage facility that offers uncovered storage will go to great lengths to make sure every RV and boat they house will be 100% protected, covered storage space tends to give customers extra peace of mind. Everything contained in a covered storage facility is secured day and night with the best locks and security systems. Protected From Weather Elements: While RVs and boats are built to withstand harsh weather elements, these modes of transportation will have even greater protection in the case of a severe weather emergency. Owners of boats and RVs can sleep soundly knowing that during even the harshest rainstorm, they have nothing to worry about. Easier to Keep Things Clean: When you store your boat or RV in an indoor storage facility, it makes it easier to maintain cleanliness. You won’t have to worry about debris, dirt, dust buildup, or other elements taking over your boat or RV when it is stored in a clean environment. When you store your property inside, it will always have that brand new, sparkling clean look to it. To learn more about the many benefits of covered store for boats and RVs, please contact us.